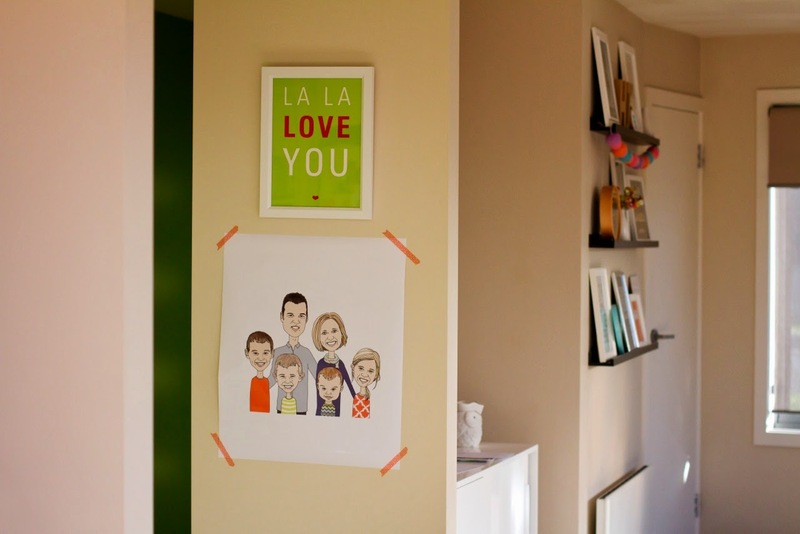 make it perfect: .Our family Bret + Nancye portrait. .Our family Bret + Nancye portrait. Check it out! We got a family portrait done! My sister-in-law, Sam is amazingly talented. She can sketch and paint and draw and make practically anything you can imagine and she has a fun business creating custom portraits - Bret + Nancye Portraits. Getting our family portrait done has been on my to-do list for a looong time, I'm glad it didn't happen until now though because Harvey is just that little bit bigger now and looks so cute sitting up all straight! We love it! The kids can't stop looking at themselves and laughing a their cartoon-like faces. I think it depicts up each of us perfectly and is a fun change from the traditional family photo - and WAY easier than trying to get everyone to look good in the one shot! I'm waiting for a frame for this one but have it stuck on the wall with some washi tape for now. I got mine printed quite big - 50cm x 60cm and asked Sam to coordinate the colours with another large print that I want to display nearby. 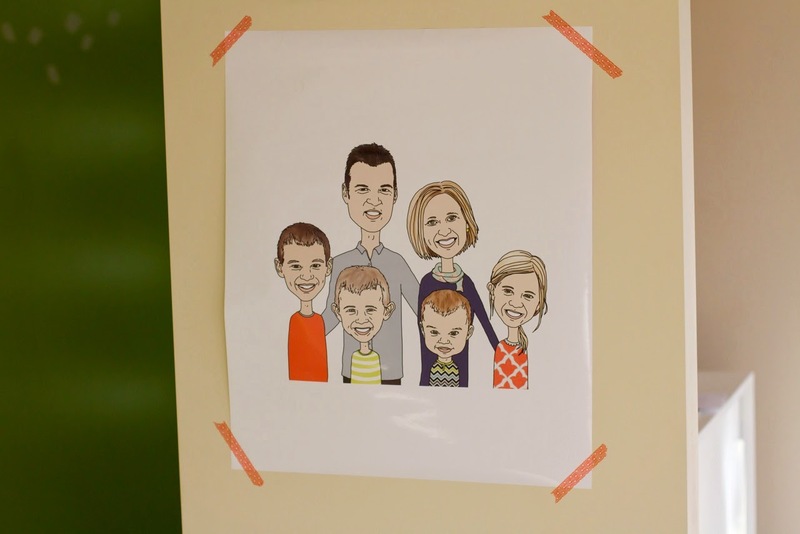 I don't know about you but I am always stuck for presents for our parents - Bret + Nancye portraits are an easy answer and they arrive in a digital format which means you can print them over and over again. Don't you think they would make a great wedding or engagement present? I like the idea of using them for your annual family Christmas card too. Visit Bret + Nancye Portraits for more information! !